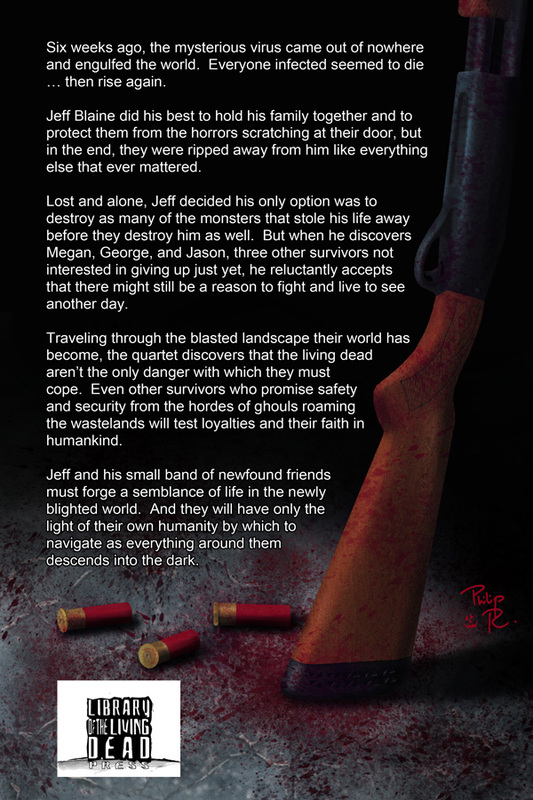 Well, here is a finalized version of the cover for Into The Dark, along with the rough up of the back cover. Now it is all in my publisher’s hands-the formatting is complete and has been sent off to him and now the final cover has as well. Once again, a huge thank you goes out to Philip R. Rogers, artist extraordinaire, who created this masterpiece. His art can be found at philipr.deviantart.com/gallery/. Check it out and see how talented this guy is. As you can guess, I am pretty dang thrilled about this and am excited to get this book out there to continue the story. More updates to come as I get them! This entry was posted on November 5, 2010 by patrickdorazio. 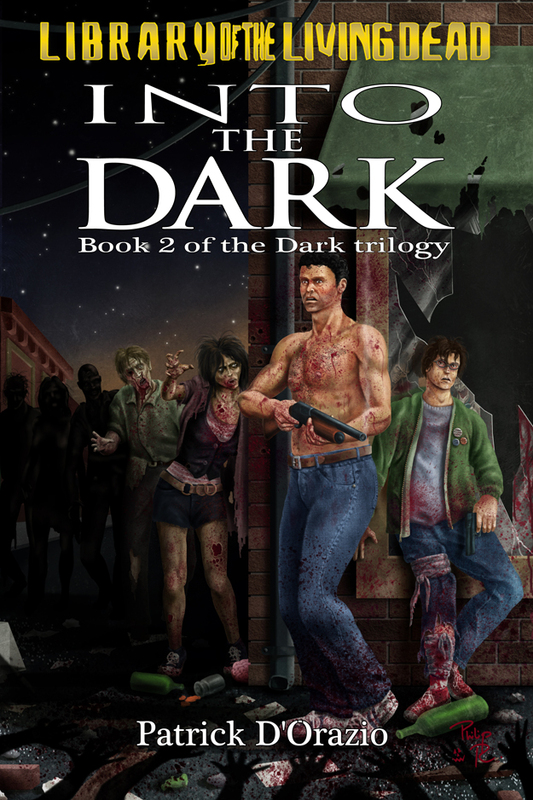 It was filed under Comes The Dark, Into The Dark and was tagged with comes the dark, cover art, horror, Into The Dark, Library of the Living Dead, writing, zombies. Very nice! Looks great, well done. Thanks John! Philip did an awesome job.